The results of the Office of Personnel Management's 2014 Federal Employee Viewpoint Survey do not show a pretty picture of morale. In addition to the breakout numbers surrounding millennials and veterans, the results show most feds think their coworkers are unfairly promoted, they're underpaid and that they don't have sufficient resources to do their jobs. In the wake of the 2013 government shutdown and shrinking budgets, it is not a surprise that federal employees don't feel great about their jobs. Leadership doesn't come out well in the survey, as only half of feds said they have a "high level of respect" for their organization's senior leaders. Feds also expressed concern that their bosses are not properly communicating goals -- 58 percent agreed their bosses were communicating sufficiently in 2014, down from 64 percent in 2011 -- and they said they worry that their bosses are not honest with them. 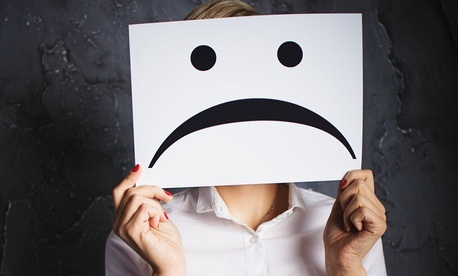 Feds' Global Satisfaction Index -- a metric that includes a few aspects of workplace happiness -- stayed the same at 59 percent since last year, though it has decreased from 67 percent in 2010. The idea that feds are overpaid does not resonate with actual federal employees, with only 56 percent of feds saying they are satisfied with their pay, a figure down from 66 percent in 2010.